BTC Global is an investment company that has been accused of tricking thousands of South Africans into purchasing Bitcoin. The Hawks’ Serious Economic Offences Unit is currently investigating an alleged fraudulent investment scheme involving Bitcaw Trading Company, or BTC Global, reports eNCA. It is further reported that payments from BTC Global abruptly stopped. Unsuspecting people looking to invest in the cryptocurrency were paid every Monday, with guaranteed 14% weekly returns. BTC Global operated through Steven Twain, who has experience in trading in binary options. For the last three years, Twain has been providing services for investors. Another member of BitCaw Trading is Andrew Caw, the founder of BitCaw Trading. 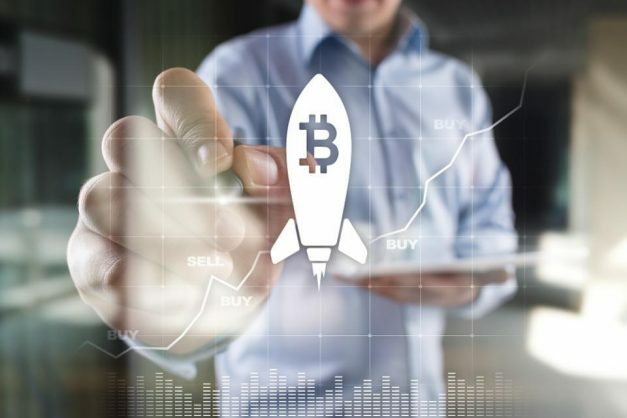 Caw claims that his goal is to “help people make money with Bitcoin”, insisting that with a simple EFT transaction, people looking to invest can pay Caw and Twain to use their expertise to trade and make money. This ease of investment comes with a price – there are no Fica checks, and no identification is required. Twain has now vanished. BTC Global’s website explains that the last payment information sent to Twain was on Sunday, February 18. 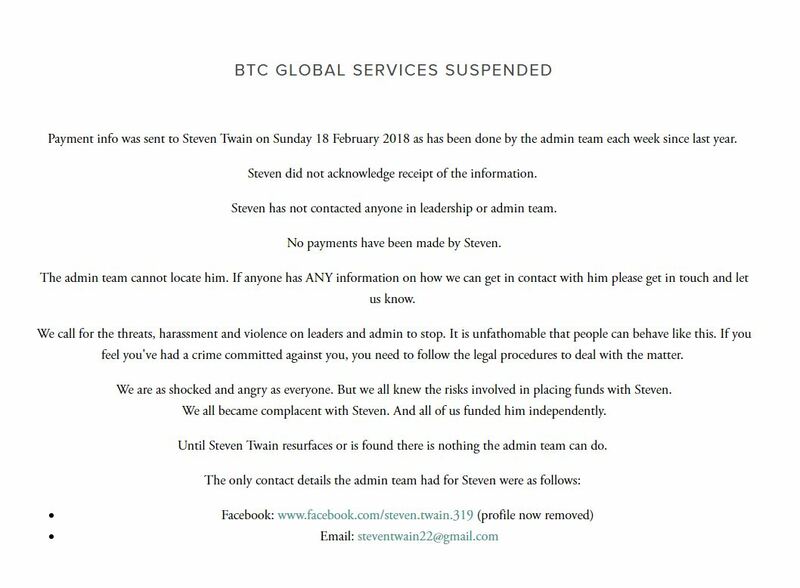 The receipt of this information was not acknowledged by Twain, and has not contacted anyone in BTC Global’s administration or leadership team since February. The post added the admin team at BTC Global were frantically looking for Twain, but were unable to locate him. There was even a plea to the general public to help the company find Twain. Understandably, Twain’s disappearance has angered thousands of investors, who have directed their threats to BTC Global. The company has emphasised that “threats, harassments and violence on leaders and admin [needs] to stop”, adding if investors felt a crime had been committed against them, they must follow the necessary legal procedures to deal with the matter. Although this is not the first warning to a possible Ponzi scheme with BTC Global, the Hawks have found thousands more that have lost money to the scheme. The Hawks have appealed to the public to come forward if they were involved or have lost money in the alleged Ponzi scheme. “This may prove to be the tip of the iceberg with potentially thousands more yet to discover they’ve lost money. There is a timely reminder that unregulated, unusual investments at home or abroad come with a high risk that people could lose all their hard-earned pension and other savings,” the Hawks said in a statement.